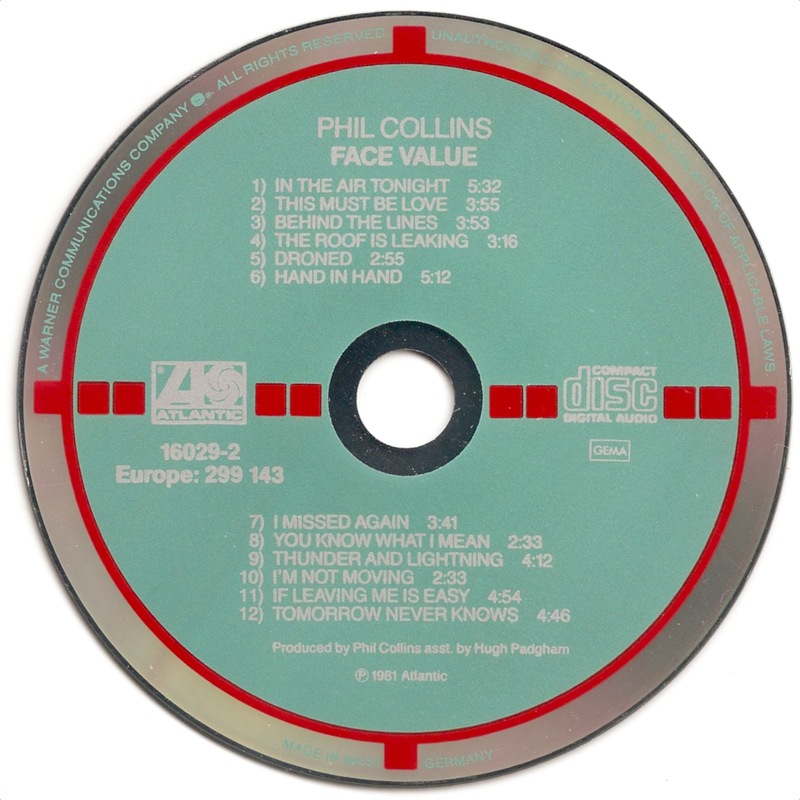 Today I am adding three more variations to the many variations I already have of Target CDs by Phil Collins. The first addition is a MADE IN WEST !! GERMANY variation of Face Value. It has no mirror band and like many other variations with this marginal inscription, it has MADE IN W. GERMANY BY PDO etched around the center hole. The back tray inlay states that the CD is manufactured in Germany by Record Service, suggesting that it is a later pressing. 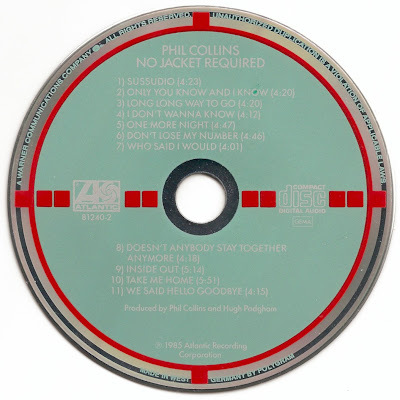 The second addition, a west german pressing of No Jacket Required, is a rather strange combination of a CD released on the Atlantic label with inserts (both booklet and back tray inlay) that suggest a WEA pressing. The catalog numbers in the top right corner of the back insert are different from all the other WEA inserts I have of the same CD, released on the WEA label. 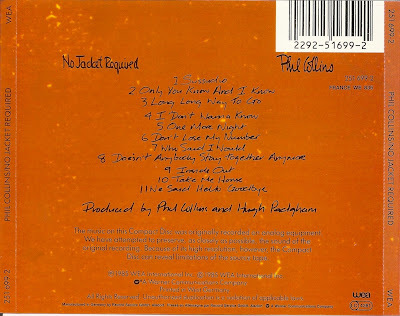 Although there is no evidence of a swap, chances are that also a WEA pressing of this CD can be found with this inlay. Finally I acquired a minor hub-inscription variation of the French pressing of No Jacket Required. 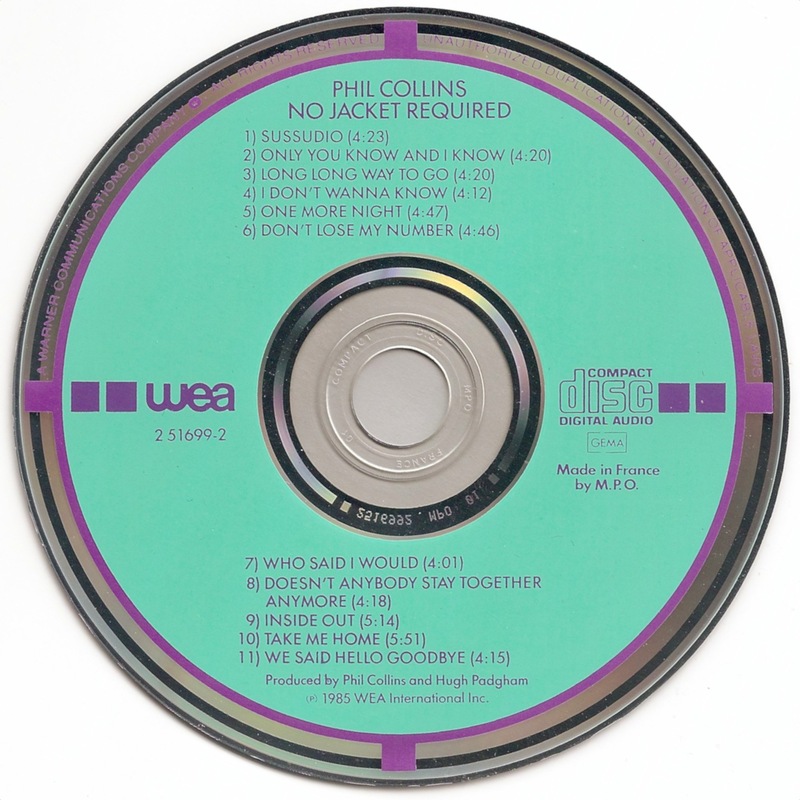 The copy I already possessed of this Target CD, has no text in the inner circle, while this one has the text COMPACT DISC MPO FRANCE 01 embossed in the plastic center.